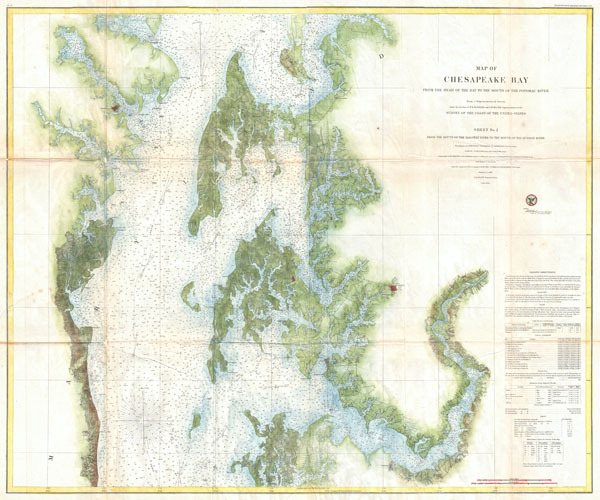 Map of Chesapeake Bay from the head of the bay to the mouth of the Potomac River. Good condition. Several verso repairs and reinforcements on original fold lines. Minor discoloration on original fold lines. Maryland State Archives, Huntingfield Map Collection, # 357U3.